The prize is awarded annually and the prize sum amounts to SEK 1 million. An international jury chaired by Professor Jerzy Sarnecki, Stockholm University, and Professor Lawrence Sherman, University of Cambridge, selects the prize winner from submitted nominations. Watch the recordings from the prize ceremony at su.se/play. 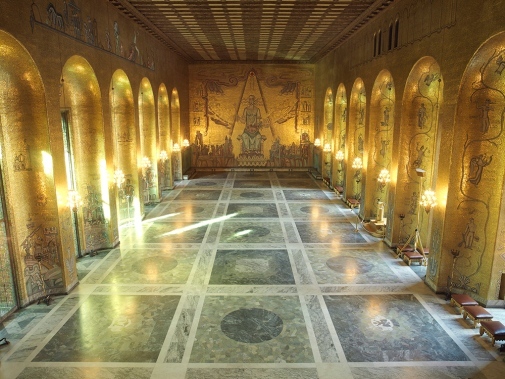 The Golden Hall in Stockholm City Hall. Photo by Yanan Li.